When most people think of saunas, their mind takes them to a tranquil spa where they can relax. But there’s no need for costly trips to the spa: there are a ton of sauna products that can be fantastic for home use. Manufacturers have generated a wide variety of designs and systems, including steam and infrared heat saunas. This article will explore the infrared sauna vs. traditional sauna, and determine which one is right for your needs and budget. Saunas are now positioned at a wide selection of price points from very little money to a whole lot, but their helpful benefits are within the reach virtually everyone. You no longer have to worry about costly trips in order to just relax and unwind in the soothing heat of a sauna. 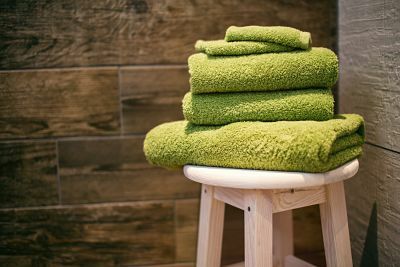 While you’re able to bring the spa to your home, there are a few key things you need to keep in mind before doing so, especially when it comes to the type of sauna you want. In this article, you’ll learn the differences between saunas, and find which type is best for your needs. 2 What is a Sauna? 2.4 Who Named These Things, Anyway? 3 What Type of Sauna is Best? 4.4 Can You Put a Sauna Outdoors? 5.1 How Long Should I Stay in a Sauna? What is it that makes up a sauna? the Wooden walls? the heating system? It’s hard to say! Traditionally, a sauna is an enclosed area that includes benches inside you can sit on while resting in extremely hot temperatures. Sometimes these are outbuildings, sometimes they’re closet-sized indoor structures, and more and more frequently, they’re personal portable tent-like devices. The commonality of the sauna is the presence of high heat! There are three common ways that heat is produced, through charcoal, through steam, and through infrared heat. Let’s look at each of these heat sources carefully. A classic sauna is traditionally built as a small room, often an outbuilding in Scandinavia (the above image is from a sauna in Estonia). The original incarnations of saunas were almost always heated by charcoal/wood. Steam was generated by pouring water over the charcoal, producing the steam. Heat in traditional saunas is a very dry heat when the steam is not employed. Typically temperatures in charcoal-heated saunas are in the 180′ range and are quite hot. Modern versions of these saunas are often barrel-shaped outbuildings with an electric heater in them. These heaters heat lava rock to a high temperature, which emulates the traditional charcoal. Steam can be poured on the lava rock for added humidity as necessary. Steam saunas are heated not with charcoal, but rather by steam directly. Common home steam saunas consist of a small closet-sized room that can be placed in a basement or other unused area (perhaps even outside) that expels steam into the enclosed room for heat. Also, portable steam saunas are perhaps even more common. They consist of a tent that surrounds the body, connected to what looks to be a rice cooker that gets filled with water. This water is heated electrically, and the steam that comes off is funneled into the tent, where the tent is quickly warmed up to around 140-150′. This type of heating is very wet and is certainly different from a traditional sauna. Though it’s not that different than a traditional sauna after someone makes some steam! Many home saunas, both portable and free-standing, are heated with infrared heat. These systems use plug-in heaters to provide heat to an enclosed space. Infrared heat is safe and is the opposite end of the light spectrum from the ultraviolet light used in tanning beds (more on this below). Infrared heats the body directly, as opposed to heating the air around the body. This means that an infrared sauna can be heated to a lower temperature than a traditional sauna (usually around 140-150′), while subjectively producing the same effects. Infrared heat is a dry heat and is more in line with a charcoal sauna than a steam sauna would be. Who Named These Things, Anyway? 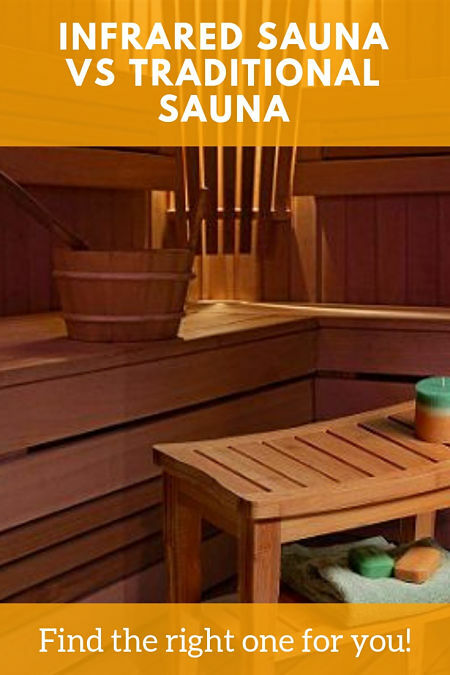 Unfortunately, the organization of the types of saunas can be a bit confusing: both lava rock style saunas and home steam style saunas use steam, but they use it in different ways. Lava rock or charcoal-burning saunas allow the user to add steam as needed; home steam saunas are heated only with steam. Manufacturers often call lava-rock style saunas and rice-cooker style saunas “steam” saunas, but the lava-rock saunas only have steam as a byproduct of the heat. You choose how much steam you want, if any. The rice-cooker style saunas heat the area itself with steam. In this article, I’ll try to stick to calling rice-cooker style saunas “steam” saunas, and lava-rock style saunas “traditional” saunas. There are numerous benefits to using a sauna, and if you start to look closely at the advertisements of various sauna manufacturers, you’ll get the impression that these setups work miracles. They can cure cancer, fix arthritis, make you lose weight, and give you fairy wings. While there are several scientific studies of sauna use, most of these claims are blown way, way out of proportion, and should generally be ignored. The real benefit of a sauna is warmth, calm, relaxation, restoration, and rejuvenation. Use a sauna to get away from it all, and let that be your reward. As mentioned above, there are many benefits that come with using a sauna, no matter which type you decided to use. Below are some of the most common benefits you can experience from it. I’ll look at a few scientific claims as well as general benefits. Though for the most part, the science on the benefits of saunas is very preliminary, and you probably shouldn’t be purchasing one for purported health benefits alone. The warmth and sweat-inducing temperatures from any a sauna work almost magically to help calm your body and release it from tension and stress. Your body will release endorphins which can also help to make you feel happier. Because it can work to significantly calm your body down, it makes it perfect for those who have high stress or anxiety to use. It can also help those with insomnia because it relaxes your body to help give you a deep sleep. Do your very very best to avoid technology while in your sauna, and use it as a time to quiet the mind and the body. Use it as a phone vacation. Meditate in the sauna to help reach a relaxing, low-anxiety state. Take some time away from the world and pamper both your body and your mind. Seriously, this right here is likely the most beneficial aspect to sauna use. Imagine going to the spa for a relaxation massage, and spending the whole time on Instagram. You should treat your home sauna time in the same way. 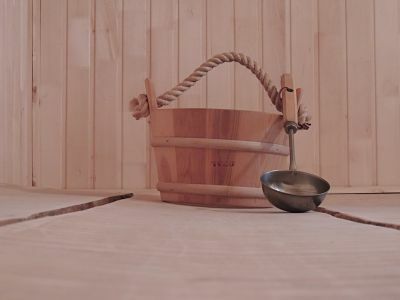 This study focused on the traditional style sauna with lava rocks and poured-water steam, as opposed to infrared saunas or portable steam saunas. It’s unclear whether the findings would carry over to either of those style saunas, and it’s hard to say how much of this is a correlation or causation. 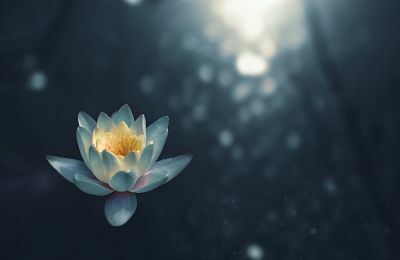 There is some potentially good news for those who need help with circulation, and perhaps this is tied to the longevity point mentioned above. That said, the science on this one is super preliminary. A few studies of those who already have cardiovascular problems have found there may be improvements in cardiovascular function after regular infrared sauna use. It’s unclear what the mechanisms are that cause this improvement, but regardless, benefits have been found. A sauna can increase your heart rate due to the high temperatures which in return can improve your circulation. This means it can help with various types of circulation problems, like arthritis, as well as muscle soreness. There is some evidence that traditional saunas (note: not necessarily infrared or steam-heat saunas) may improve immune system functioning, and could potentially even help in fighting the common cold. The heat from a traditional sauna can raise your white blood cell count. This could improve the efficiency of the immune system. Again, this science is quite preliminary. Detoxification — Have you Had Your Toxin Level Checked Recently? Look, if you have toxic levels of heavy metals in your body, you need to see a doctor immediately. A sauna’s not gonna cut it! Yes, sweating will release minuscule amounts of heavy metals, and yes, you sweat in a sauna. So yes, your body expels toxins. Pointing to this aspect of sweating as a benefit of a sauna is gobbledygook, and should be ignored. What Type of Sauna is Best? If you’re looking for a home sauna, you’re most likely deciding between an infrared sauna and a steam sauna. Unless you plan on building an outbuilding housing a lava rock or charcoal sauna, most of the saunas on the market are either infrared or steam-heated. If you’re looking to replicate the heating design of the lava rock or charcoal-heated sauna at a cheaper price point, you’ll likely want to stick toward the infrared design. Most of the science that has been done on sauna use tends to be on dry saunas, so if you want to aim for health benefits, sticking with dry is wise. If you like the idea of the steam sauna, are always congested, and seek the moist heat it provides, lean toward steam or traditional style saunas. With a traditional lava rock or charcoal sauna, you get the dry heat, but you can add as much steam as you would like. The steam is a byproduct of the heat, not the primary source of the heat. This allows you to find the right comfort level for you in each session, and you can vary the humidity as needed. With an infrared sauna, you aren’t getting the benefits of the steam, and with the rice-cooker style steam sauna, you’re only getting steam. The flexibility is the major advantage of the traditional sauna. The major disadvantage is the price tag! Home saunas can vary in price from a dinner for two at a pub to the price of a small car. Most portable saunas, regardless of the type of heat, can be had in the $60-200 range, while indoor wooden infrared saunas are typically over $1000. Indoor traditional lava rock and steam saunas often run into the multiple thousands of dollars, depending on their design. Outdoor barrel saunas and other outdoor saunas can easily go up toward $10,000 for a kit — and you’ll still have to assemble it! However, the reality is that there is a sauna available at virtually any price point, so you shouldn’t let the price of the sauna deter you. You could always start small and then upgrade over time. There are several major categories of home sauna commonly available. I’ll break them down here from generally least-expensive to most expensive. All heat the body, though they do it in different ways, and certainly at hugely different price points! Portable steam saunas essentially consist of a tent that surrounds the body and a plug-in device that looks very much like a rice cooker that heats up water and transmits it inside the steam sauna. The steam quickly warms up the tent to somewhere around 150′ and brings on the benefits of a sauna. These portable steam saunas are typically the cheapest saunas you can buy. Yeah, they look a little weird, but they function pretty well. Portable Infrared Saunas are similar in design to steam saunas, but they don’t use steam for heat. Rather, they use infrared heat produced by electricity to produce a dryer heat than a steam sauna will produce. This infrared heat directly heats your body, as opposed to the air around your body, and will make you feel warmer than a steam sauna, even though the temperature is a bit lower. Typically these saunas are priced more than a portable steam sauna but are still relatively inexpensive. Like the portable steam saunas, these function pretty well, but don’t have quite the panache of a wooden sauna room! Full-scale wooden infrared saunas are typically priced much much higher than portable saunas are, as they are much more akin to full rooms than the tents in use in portable saunas. These saunas are often quite beautiful and minimal, and will certainly go a long way to getting the mind in the right frame for a sauna session. Indoor Traditional Steam Saunas are built on the same scale and design as the infrared saunas above but are heated using lava rocks and an electric heater for authentic style heating. Water can be poured over the lava rocks for steam, and this style of sauna perhaps most replicates the traditional experience while still keeping the structure indoors, and the prices from going crazy. These are not particularly common, due to the super-high price point they’re positioned at. There are companies that sell outbuilding-style sauna kits that are built on site, often in cool barrel-shaped. They heat using wood/charcoal, or more commonly by using an electric heater that heats up lava rock. Steam can be poured over the lava rock for the authentic experience of user-controlled steam. It’s pretty obvious why most home users don’t jump for these saunas, though: the price point! One of the main difference is how these saunas work to help your body. A regular sauna, including a barrel sauna or steam sauna, uses dry heat provided by charcoal, as well as steam from water to help relax and detox your body. Portable saunas typically work in one way or the other: infrared heat for a dryer heat, and portable steam saunas boil water to produce steam for a wet heat. Another main difference is the temperature of the saunas. Inside a traditional sauna, temperatures can range anywhere from 150′ to 185’F while infrared saunas tend to be around 120′ to 140’F. So, if you’re not someone who withstand hot temperatures and humidity, an infrared sauna might be ideal. The price is also a major difference. Portable tent-style saunas look kinda wonky, but they work well enough for one person at a time to get the benefits of a visit to a sauna. However, it just isn’t the same experience as going to a room-scale sauna. Infrared saunas are typically mid-priced and are the ideal solution for most who don’t want to spend a fortune on their sauna. A good in-home infrared sauna isn’t cheap, but it’s also not crazy expensive. Traditional saunas are the most expensive, due to the design of the heating system, with the outbuilding-style barrel saunas being the most expensive and the most awesome. These saunas provide the most flexibility in mosture levels, however. You’ll likely find that you need to wait longer for an infrared sauna to heat up than a traditional sauna. Depending on the design, It can take up to 20 minutes for an infrared sauna to get to its peak while it only takes about 10 minutes for a regular sauna to do so. Often infrared sauna users find that it’s best to crank the temp up to max before getting in. Step in at max temperature, and then immediately drop the temp to a more comfortable level, maybe 130′ or so, for the duration of the sit. Can You Put a Sauna Outdoors? The main concern sauna users have regarding sauna safety is the length of time and dehydration. Additionally, some may have some concerns about being exposed to infrared light for long periods of time, but this in reality not a concern. How long you should stay in a sauna depends on several aspects. If it’s your first time using a regular sauna, it’s recommended that you stay no longer than 10 minutes inside. This way, your body can become adjusted to the high heat. You can then gradually start to add a few minutes to your session afterward. Overall, you shouldn’t stay in a traditional sauna for longer than 45 minutes as it could cause your body to become dehydrated. The high temperatures translate into lower session times. On the other hand, infrared saunas and steam saunas don’t require high heat levels. Because of this, you can stay in it longer and use it more often compared to traditional saunas. Even still, if you feel light-headed, woozy, or anything like that, be sure to leave the sauna immediately, and drink plenty of fluids! As discussed in this article on infrared saunas, infrared light is safe for the body to be exposed to. Infrared light is on the low end of the light spectrum and is on the opposite end of the spectrum from the harmful ultraviolet rays that are produced in a tanning bed, as well as those harmful rays from the sun that can cause skin cancer. If you’re looking for a way to help keep you calm and relaxed in your home, a sauna could be an ideal option. This article explored two broad categories of saunas, infrared and traditional, and touched on the advantages and disadvantages of each. The bottom line is that if you don’t want to spend a lot, but like the idea of a sauna, stick to a portable personal sauna, probably an infrared sauna. They’re perfectly suited for home use and aren’t back-breakingly expensive. If you want the traditional style, and its flexible moisture capabilities, the more you spend the closer you get to the ideal traditional sauna with its great functionality and pleasant vibes.